People flock to different areas for a variety of reasons, but there’s a trend age-wise. Which states have the highest homeowner age average, and which have the lowest? 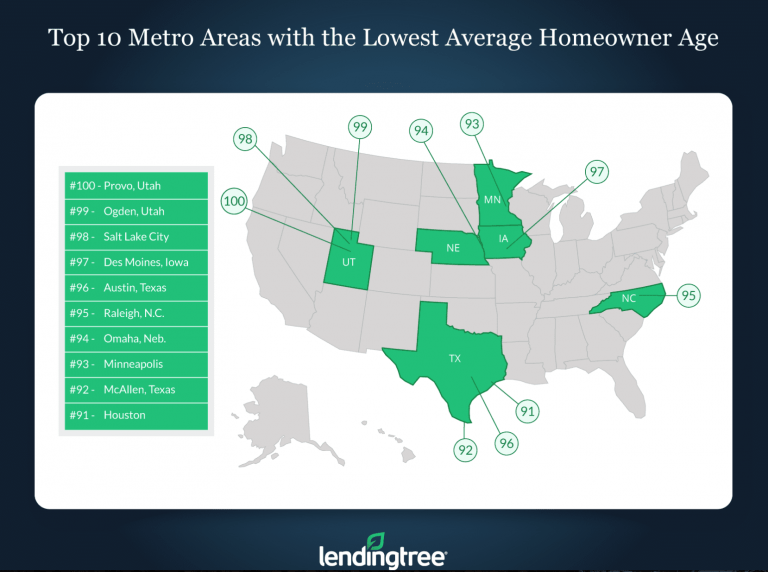 A recent LendingTree report that uses data from the U.S. Census Bureau’s American Community Survey ranked the 100 largest metros in the U.S. by average homeowner age. The results? The average homeowner age across these metro areas is 54, while Provo and Ogden, Utah, have a lower average of 50. Where are baby boomers and Gen Xers flocking to? 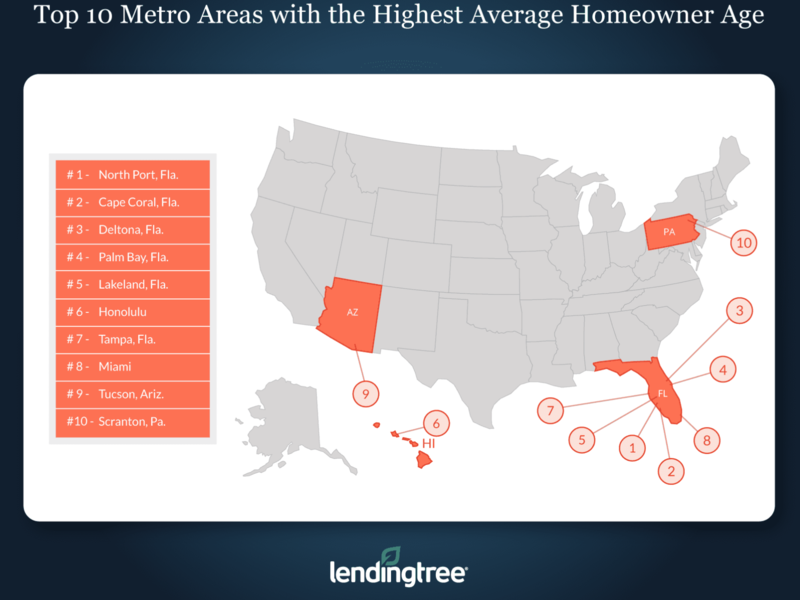 Florida is the place to be for retirees and aging homeowners—seven out of the top 10 metro areas with the highest age average were in Florida. Meanwhile, those looking for a younger vibe will find it in Utah and Texas—Provo, Ogden and Salt Lake City made the top of the list. Lending Tree looked at over 300 metropolitan areas in the United States and compared the average homeowner age across four categories: average age, occupied housing units; average age, renter-occupied housing units; average age, owner-occupied housing units; and average age by MSA. ← Consolidate your Credit card debt? Yay or Nay?